MANILA -- The National Bureau of Investigation (NBI) on Friday said it will conduct a probe on the alleged threats to the life of former Cabinet Secretary Leoncio Evasco Jr.
NBI Deputy Director Vicente De Guzman III said he has received the family’s request to conduct an investigation and appointed Joel Tovera, chief of the NBI Anti-Organized and Transnational Crimes Division (NBI-AOTCD), to head the investigation. “I appointed Tovera to conduct the probe,” de Guzman said. Justice Secretary Menardo Guevarra earlier confirmed that he has taken up with NBI officials led by Director Dante Gierran the request of the family for an investigation on threats made on Evasco's life. Evasco is running for governor of Bohol and vowed to wage an unrelenting war on politicians on the take from drug lords in the province. In a letter addressed to Gierran and Guevarra, the family expressed concerns that he may have become a target for assassination for running in the gubernatorial race under the banner of the National People’s Coalition-Hugpong ng Pagbabago. “For this reason, we are humbly requesting your office to undertake thorough investigation into the reported assassination plot against former Cabinet Secretary Evasco,” read the letter dated April 1. The family hopes that “this investigation will result not only in determining whether the said assassination plot is true or not”. “In the event that the said plot is confirmed, we trust that this investigation will result to the unmasking of the identities of the assassins contracted for the plot but most especially for the people who contracted them,” they said. In the meantime, the family said Evasco has “finally conceded to our appeals to him to be provided with security escorts during the campaign period”. 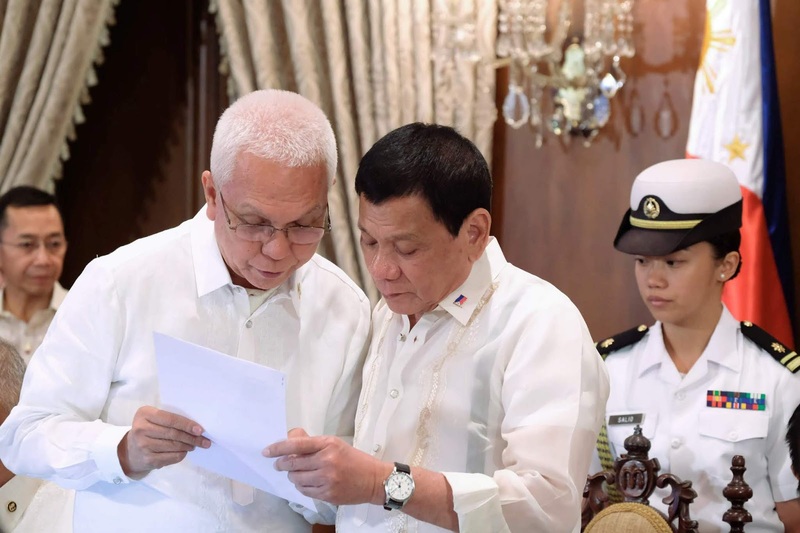 “Considering that the political rivalry in Bohol is getting intense, there is no room for complacency,” the Evasco family pointed out.